The following images were acquired on two consecutive nights, with two different instruments and two different people. 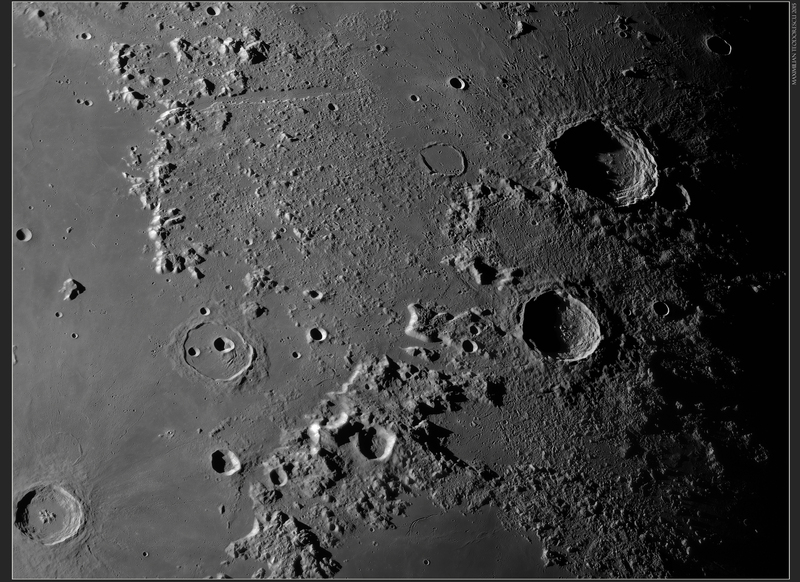 The first image, acquired together with Mihai, my brother-in-law, on the evening of September 18, shows the Moon with the craters Theophilus and Posidonius near the terminator. 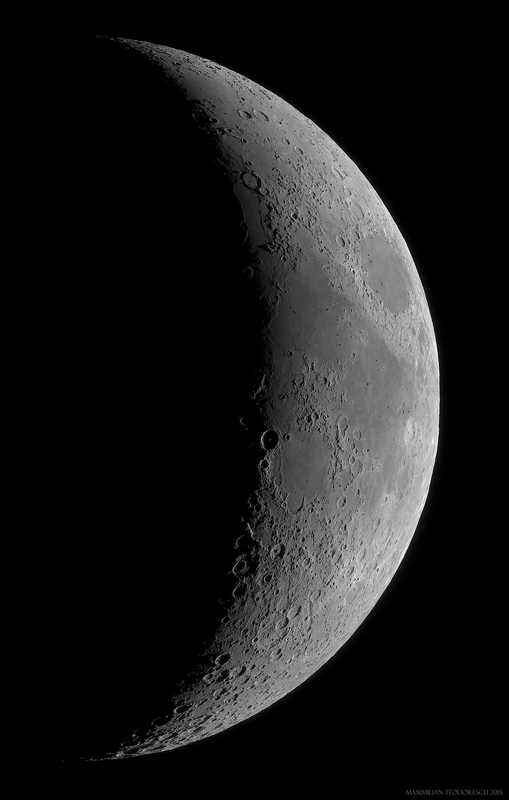 This image is a three panel mosaic acquired with the 115mm APO Refractor and ASI120MM-S camera placed at the focal plane, through a red filter. The seeing was poor, but some frames were usable from the 3000 acquired for each area, showing nice details. The night before, I was together with Claudiu at another imaging session, trying to get a HDR image of the Moon with the small 65mm APO refractor and the same ASI120MM-S camera. Unfortunately, the seeing was very poor, and the Earthshine was very difficult to capture. 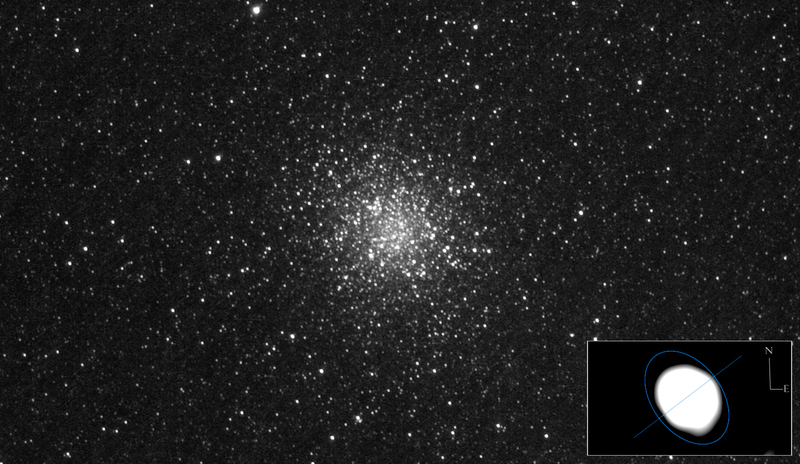 Nevertheless, I was able to get some images of another heavenly object, the globular cluster M22. And since I usually do some investigations on all my images, either for resolution or interesting details, this image was not neglected either. I’ve tried some extreme processing in an attempt to get an idea of the actual shape of the cluster. This was done using Photoshop filters such as Gaussian blur and Unsharp mask. 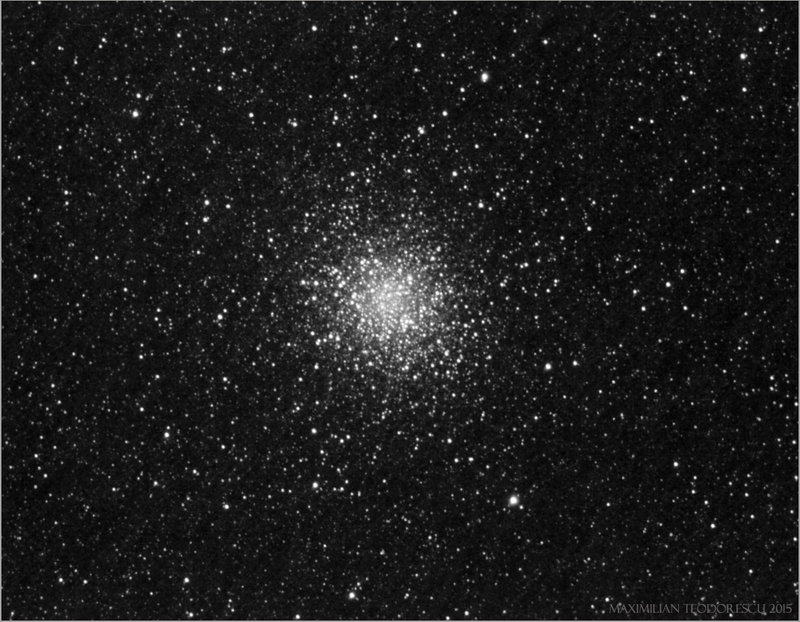 The aim of the processing was to reveal the flatness of the cluster, from which the rotation axis can be deduced. More information about this can be found here and here. The image below shows another processing of M22 and an inset of the extreme processing result, showing the approximate shape of the cluster (flattened in the shape of an ellipse) and the rotational axis, as drawn by hand, with no “mathematical” precision. This experiment was just for…fun. So no data can be considered as valid from the image. Despite this, the axis might not be very “off” from a “true” measurement. Fun as it might be, the result above shows that we can get a minimum of physical data about astronomical objects with modest equipment. 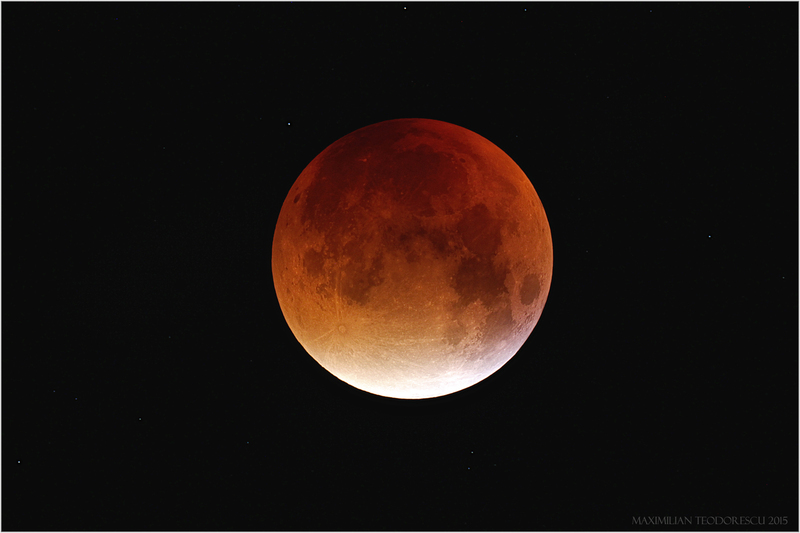 A superb and rather rare astronomical event occurred a few hours ago: a lunar total eclipse while the Moon was at perigee. 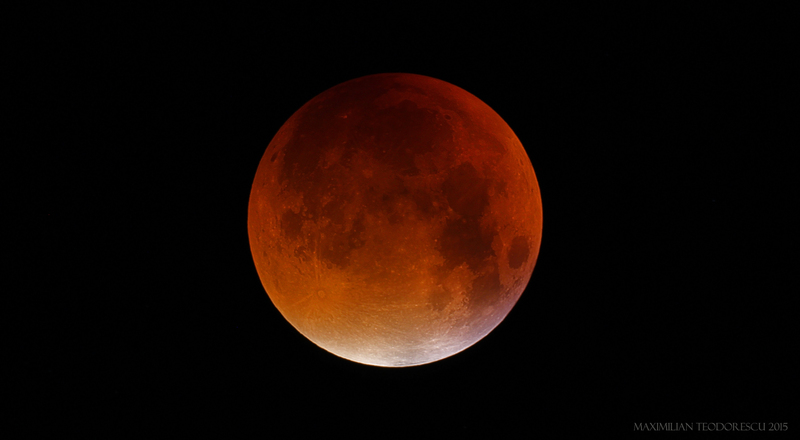 This kind of event is becoming known in the media as the “supermoon eclipse” due to the larger size of the Moon in the skies. In reality, the size difference between a perigee Moon and an apogee one is quite difficult to spot with the naked eye; it may, however, be easily acknowledged if one would take images of the Moon at both distances and compare them afterwards. For this event I had to drive together with my wife almost 200 kilometers towards the East, near the small town of Cochirleni, Constanta county. The reason was that the clouds that were occupying almost the entire country were leaving some clear spaces in between, but only in the far East. After a short stop on the highway, where we could observe for a few minutes the partially eclipsed Moon and the cloud front rolling in, we’ve decided to drive a little more towards the above mentioned location, where we were hoping that the strong wind and clouds will be avoided. Arrived at the planned location, we found out (the hard way) that the clouds were going to cover the Moon very soon and that we only had about 15 minute to shoot the Moon. So that’s exactly what we did, after mounting our gear in seconds. The only distraction during this time were the sounds made by two jackals very near to our car. Luckily they were not very interested in us (they are actually quite shy) so we could concentrate on the job at hand. Our setups were two Teleskop Service APO Refractors (a 115mm F/7.5 and a 65mm F/6.5) with two Canon EOS 550D cameras, mounted on EQ3-2 and EQ6 mounts. First, a shot made holding the 65mm APO by hand, while on the short stop on the highway. This is the only partial-phase image we’ve got. 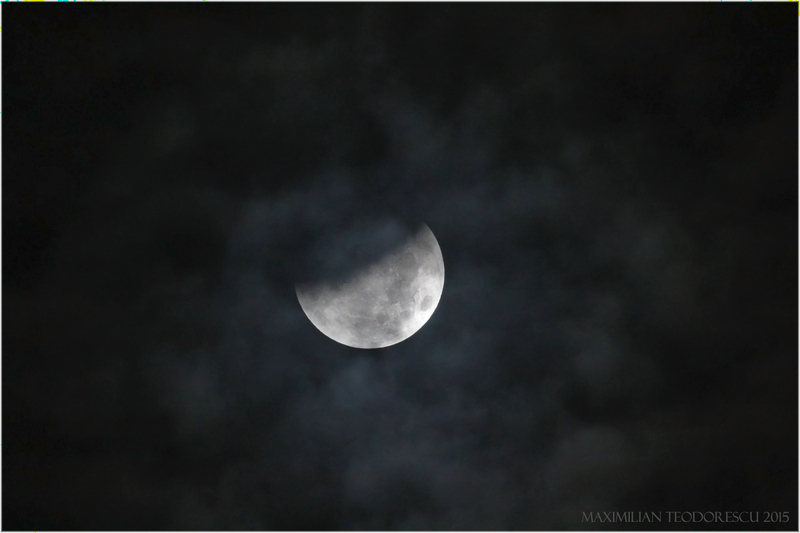 This was a rather dark eclipse, with the Moon darker areas quite difficult to see visually. 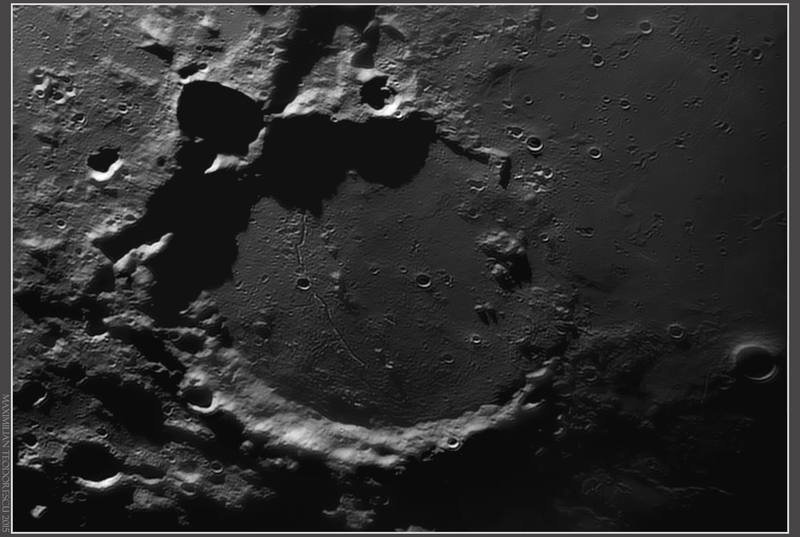 The third and final part of the excellent seeing conditions lunar imaging sessions of September 2015. 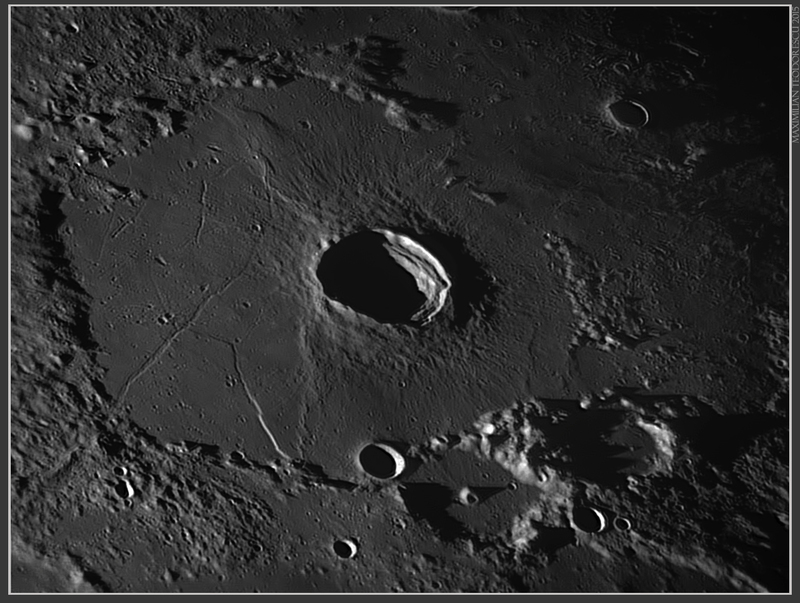 This last morning I was together with my brother in law at the observing location, and we were able to view, both on the laptop screen and at the eyepiece, some truly exceptional views of the lunar surface. 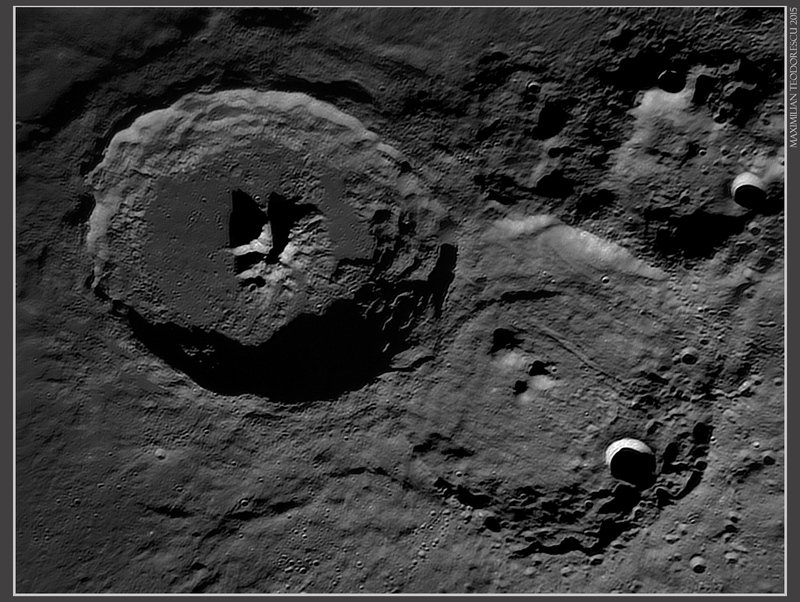 This time I had enough “optical power” to get a magnification of around 600x, a value that allowed us to see something that very few amateurs have seen; craters, rilles, shadows, all looking like something seen from an spacecraft window orbiting the Moon. The setup was as for the previous sessions: 355mm (14 inch) F/5 homemade Newtonian working at F/20 (using a Baader Hyperion 2.25x Barlow lens), ASI120MM-S camera with Red filter. And the final mosaic, acquired just before a large cloud front rolled in, changing the weather for a few days. 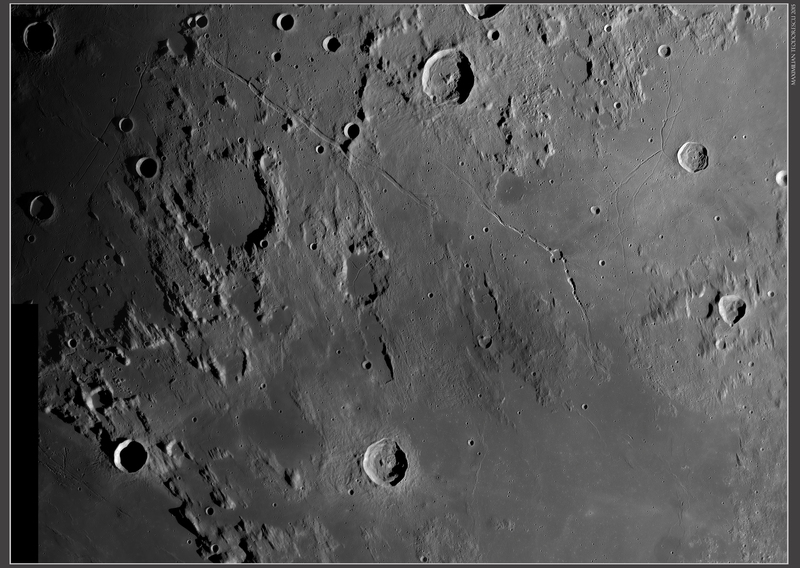 It depicts the region of Rima Hadley, where Apollo 15 landed. 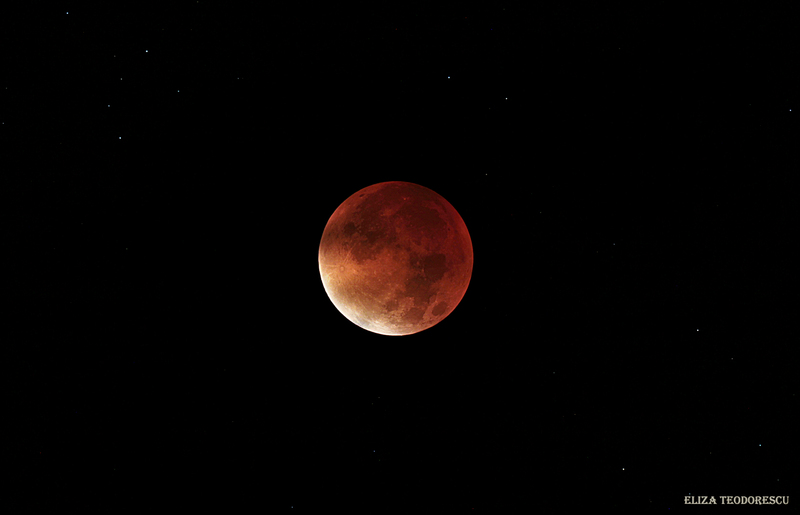 Hope to get again some excellent seeing conditions soon, as the Moon gets higher in the sky the next weeks. The second part of the HR lunar views posts. The following images were acquired on the morning of September 4th, 2015 with the same setup (14inch F/5 homemade Newtonian with SkyWatcher optics, Baader Hyerion 2.25x Barlow lens (EFL ~6000mm) and ASI120MM-S camera with Red filter). Each frame prom the mosaics is a 800 to 1100 image stack in 8-9/10 seeing conditions. The view at the eyepiece at 400x was fantastic…the only regret from that morning was that I had no larger magnification available. 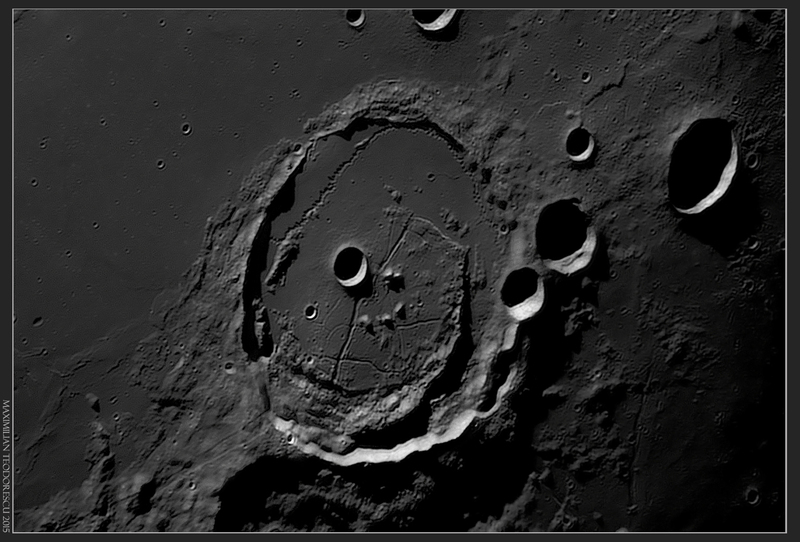 First shot is a four-frame mosaic showing Rimae Hyginus, Triesnaker and Ariadaeus area near the terminator. 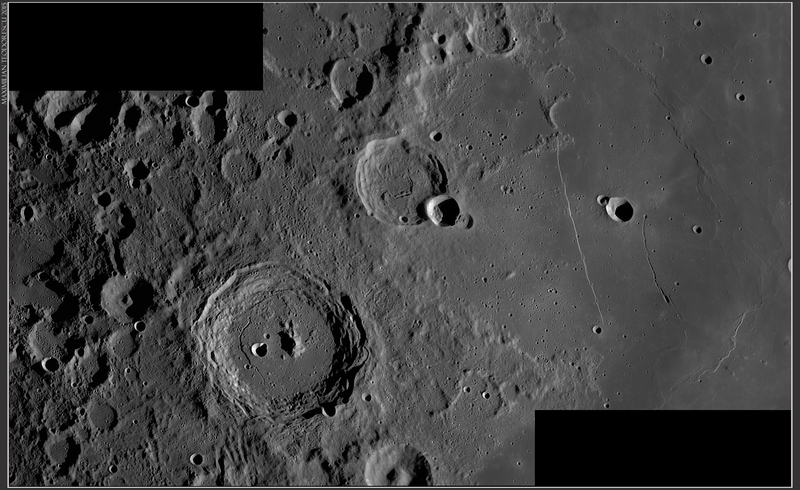 The resolution for craters is around 500 meters but smaller details (such as the rille on the floor of crater Boscovich) of around 300 meters are observable. 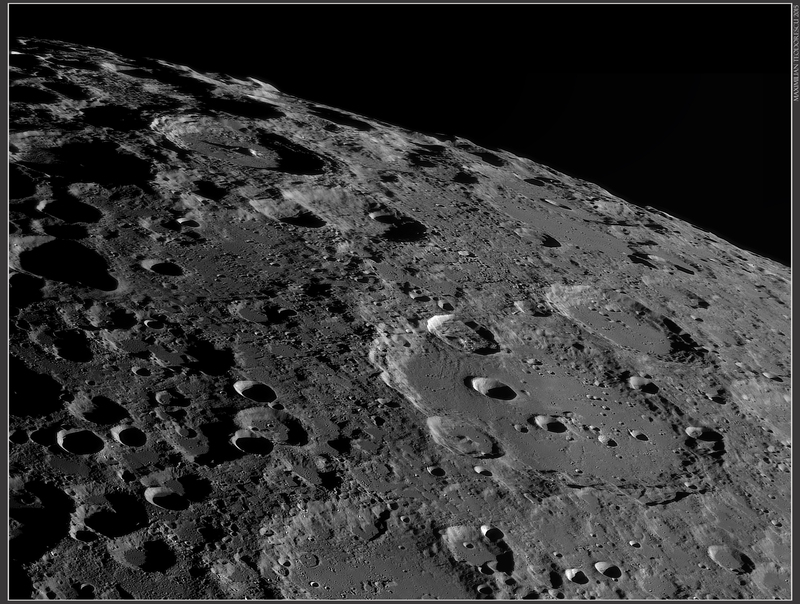 Following is a comparison with the LRO images. 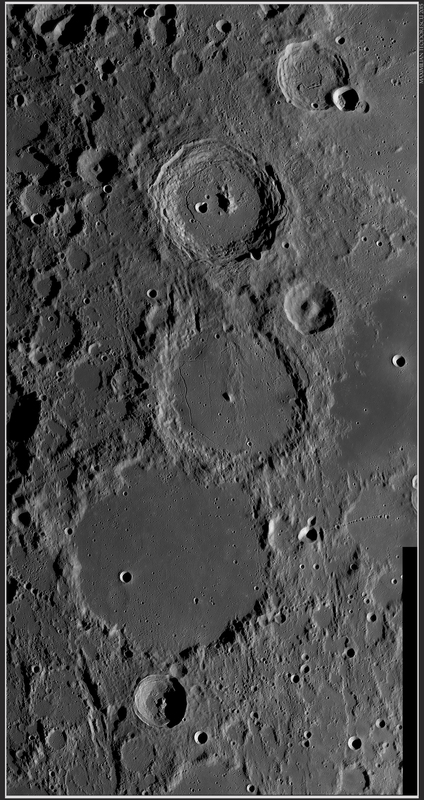 Another mosaic, this time a two-frame shot, shows the well-known large crater Clavius and the lunar limb in an orbital flight-like view. One of the most memorable imaging session for me, with long stable seeing moments. In a previous post I’ve presented some HR (high resolution) lunar images acquired at the beginning of September using a homemade 355mm F/5 Newtonian (with SkyWatcher optics). I did mention at the time that I shall re-post some of those images together with new ones in other posts. This is the first of these posts. 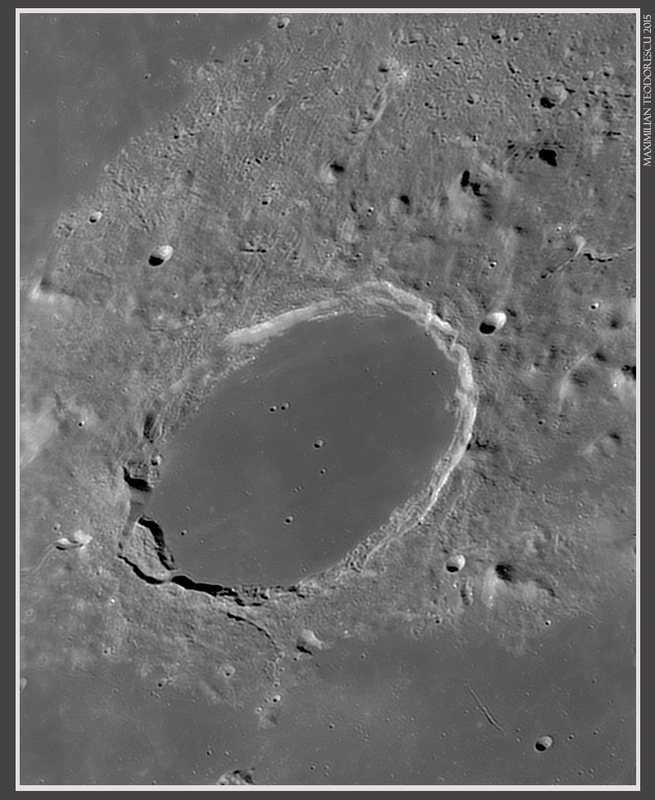 I shall begin with the first subject imaged in the morning of September 3rd, the well-known lunar crater Posidonius. This almost 100 kilometers-wide crater is a lava-filled one, with a very interesting and complex rille system, part of which can be seen in the images below. The main rille that runs on half the circumference of the crater is very sinuous and this aspect is rather hard to capture in normal seeing conditions. 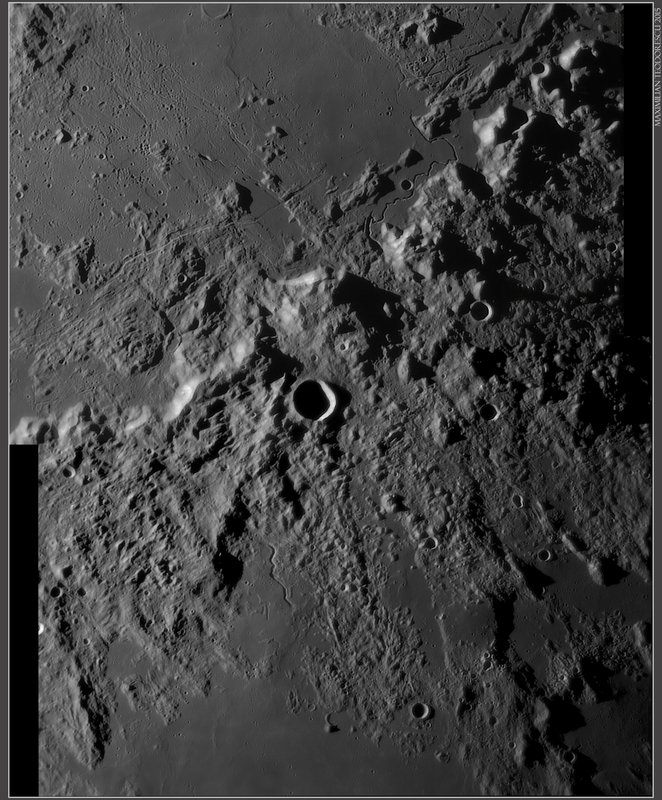 But on this morning, the seeing conditions while imaging this crater were excellent (9/10) with some very stable moments that impressed me so much that I was looking at the laptop screen while imaging from only 15 centimeters away, trying to see the smaller craters and rilles on the floor of Posidonius. 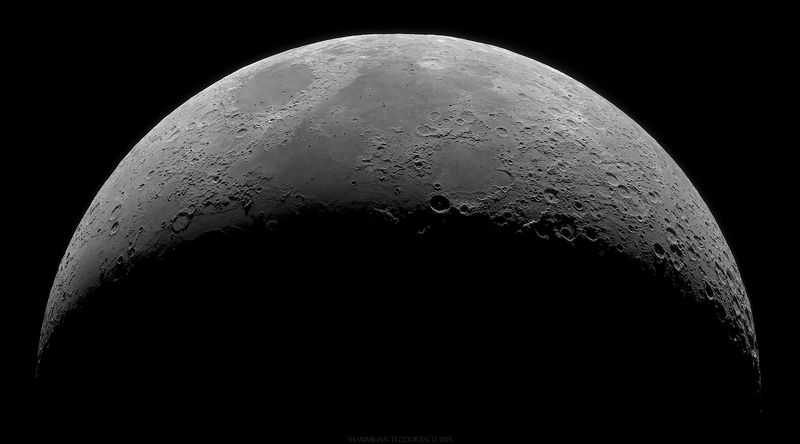 Until this imaging session I had never seen the Moon in such stable, clear and detailed images in “live” recording. To understand a bit better the way Posidonius looked on the computer screen, I’ve posted the following short acquisition video on YouTube. Too bad YouTube does some processing and the resulting quality of the video is a bit low, but still, in some of the stable moments a lot of details are visible. At the moment I believe the above image is one of the better ones acquired by amateurs world-wide. To identify some of the smaller details, I did a comparison with the images from the Lunar Reconnaissance Orbiter (LRO) Camera, which are freely available as a global map here. Thank you NASA for that! 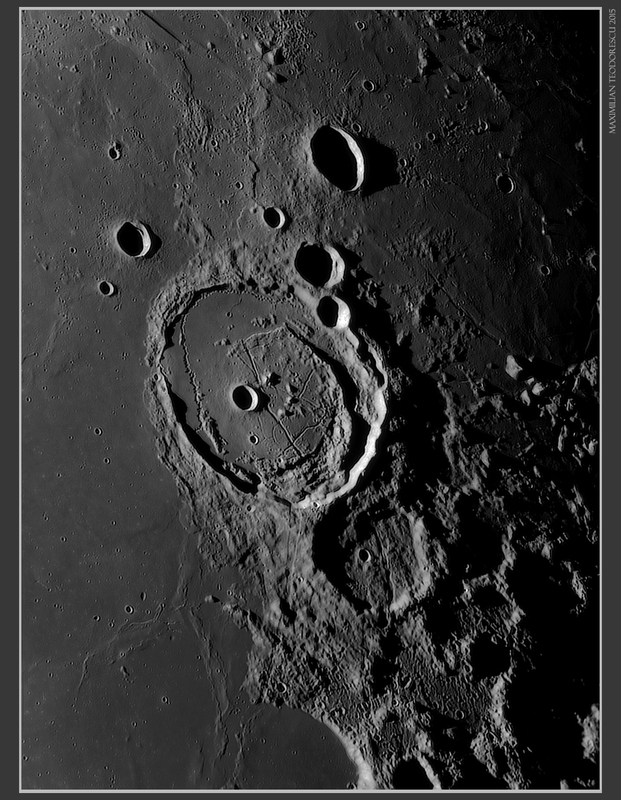 I’m also including in this post a few links to the LPOD website corresponding maybe to the best views yet of some of the craters I’ve imaged. 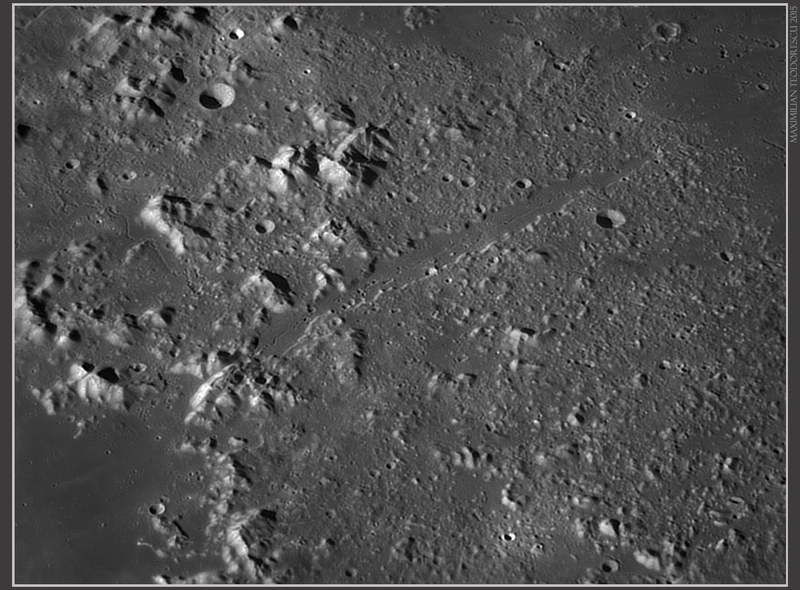 Still under good seeing condition, crater Moretus (the most prominent crater at right) near the lunar South Pole. 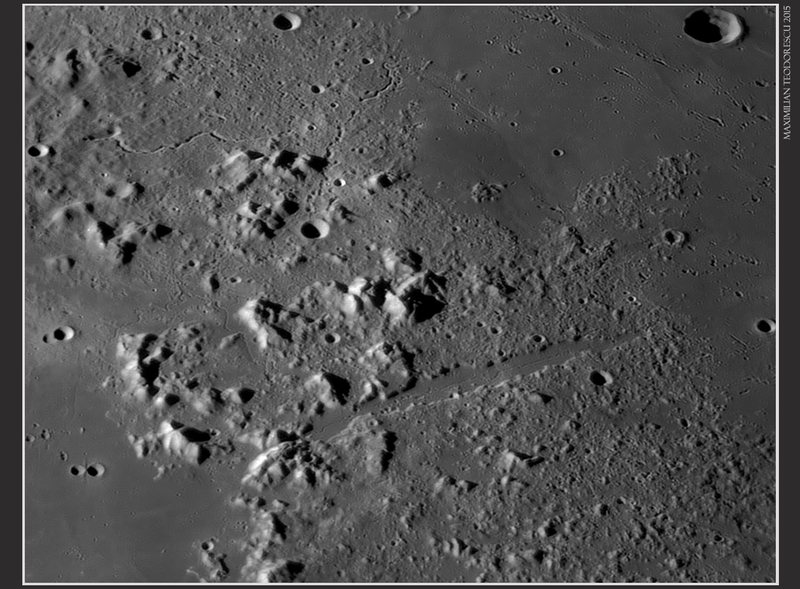 This is one of my favorite regions on the Moon due to the highly evident mountain range. Plus, it looks very similar to what an astronaut would see flying in low orbit around the Moon. Another large and interesting crater both due to the presence of a large rille on it’s floor and a large dome-like feature (towards the right, just outside the crater’s rim) is Fracastorius, not far from Theophilus. Another superb Summer-like day. 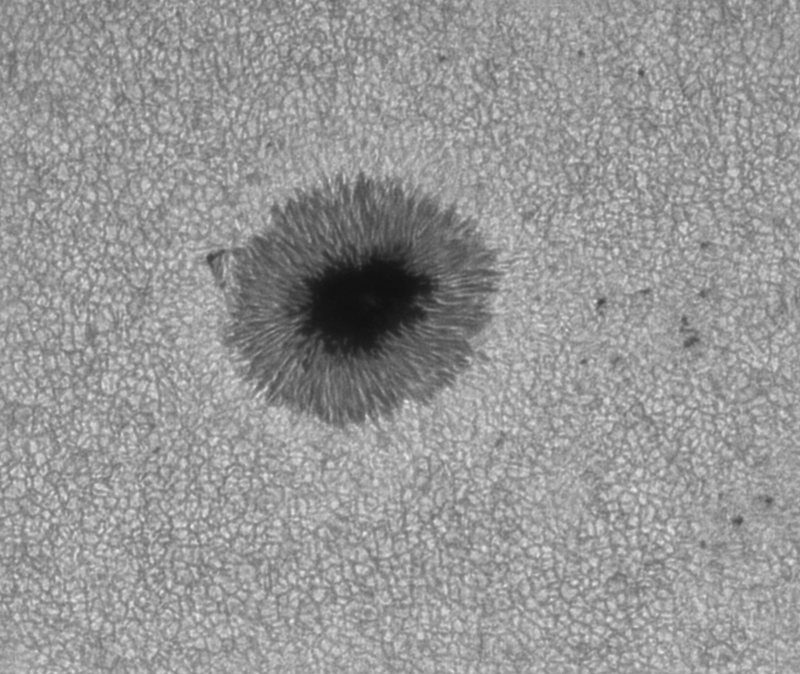 And another solar imaging session, this time together with my wife. The telescope chosen for this session was the 8inch F/5 homemade Newtonian (SkyWatcher optics) with Astrosolar full-aperture filter, ASI120MM-S camera and Red filter. The seeing was good for a brief minutes, time in which I could get images for only one of the visible sunspot groups. 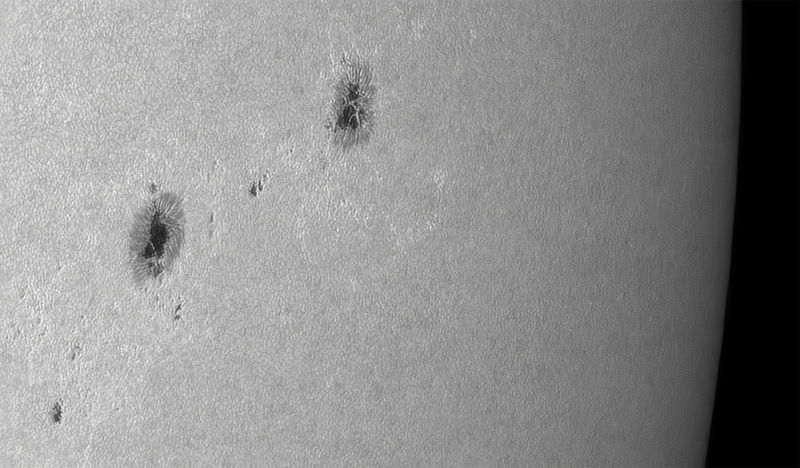 This was again (like in the previous post) AR 2418, a solitary crosser of the Sun. A few minutes later, the seeing degraded quite a bit, and it remained like that for an hour until we’ve decided to leave. 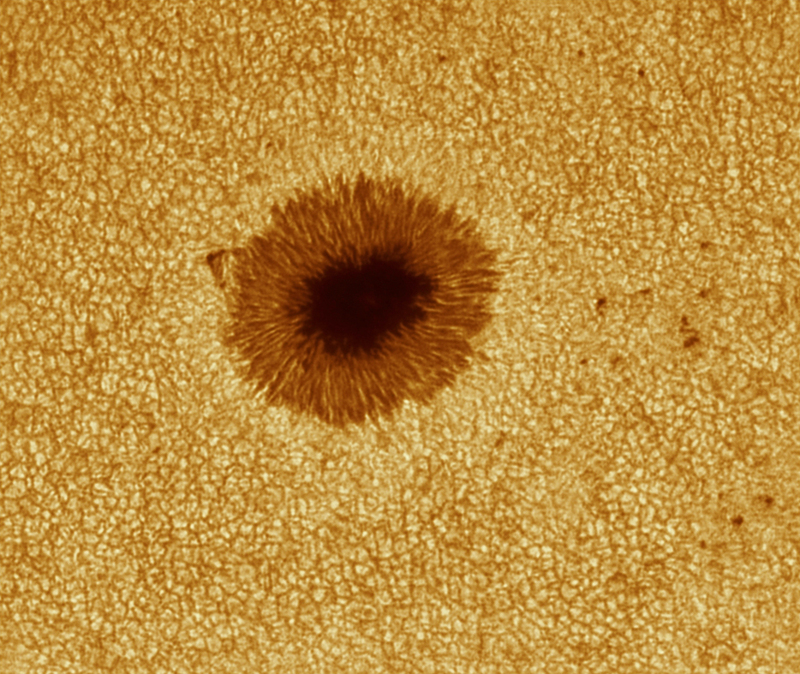 Still, one series was acquired of the very active group AR2415, closing in to the solar limb. Together with my brother-in-law, I’ve went to my usual solar-imaging site, 6 miles south of home. The equipment was the 14inch Newtonian, so I had (once again) hopes for a good image to match the large diameter of such a mirror. Not a chance…the seeing was again rather poor, with only a very few brief moments of 6/10 seeing conditions. 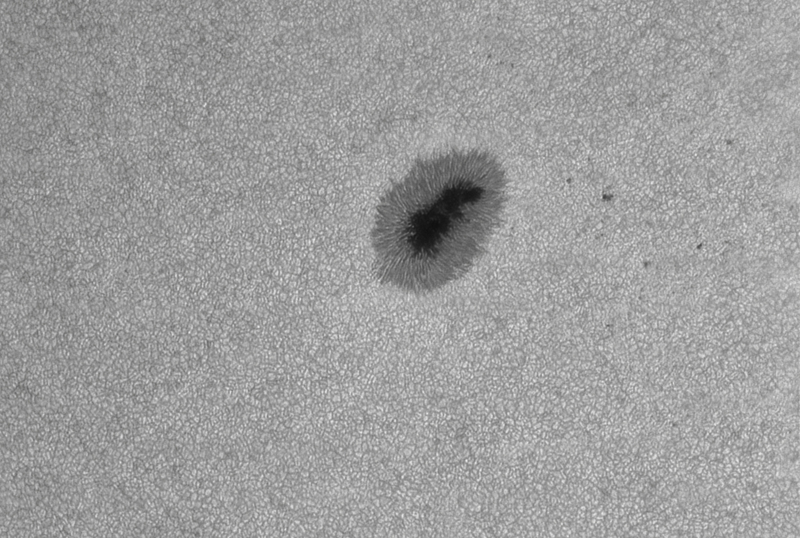 The following image shows sunspot AR2418, a solitary crosser of the solar disk. Technical details : 355mm F/5 homemade Newtonian (SkyWatcher optics), 2.25x Baader Hyperion barlow, ASI120MM-S camera with Red filter, and Baader full-aperture solar filter at the front. Seeing: 3-6/10. Notice the solar granulation and small details in between the granules, as also some small white-beads around the penumbra of 2418.